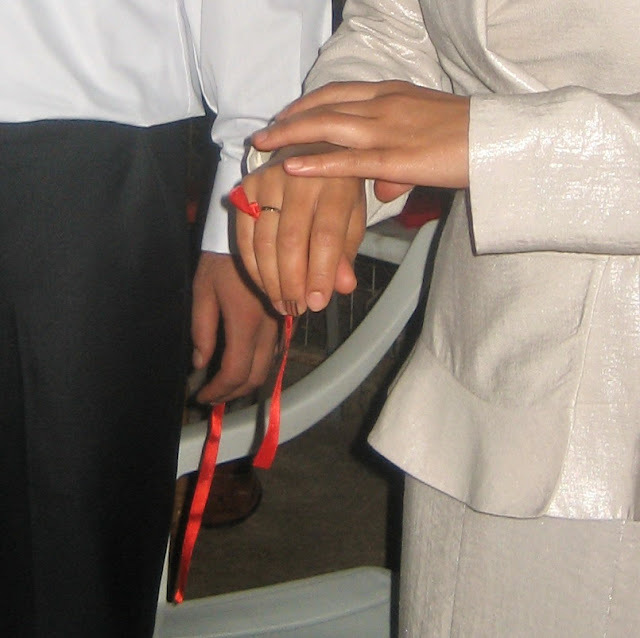 The rings are bound on a red ribbon, so may the bound be forever (red ribbons are also used at wedding as you can see here). Again a little prayer before cutting the ribbon. That is so cool! I'm not familiar with Turkish traditions so this is very interesting. Thanks for sharing. I'm curious: Do they keep the ribbon on the rings or do they later take them off? Truly bound together, very nice! lovely tradition; but why do they cut the ribbon ? Has that a meaning ? maybe there is different habits everywhere. I live in Istanbul. It could be that you didn't engage but married right away? The ribbon ritual is for the engagement and doesn't happen at the wedding. Well, you can make something very pretty out of a ring and some red ribbon, I'm sure! always nice to read about the turkish traditons! Sweet tradition, but I was also wondering about the cutting part. Hi, do you think the red-ribbon ceremony could be incorporated into an American wedding between a Turkish man and an American-Jewish bride? There was no ring ceremony as such, because rings are not exchanged until the wedding in the U.S. Thought it would be nice to echo this ritual. There will be echoes of Jewish wedding tradition, too, like the Chuppah. Would really like to know what you think. Thank you. 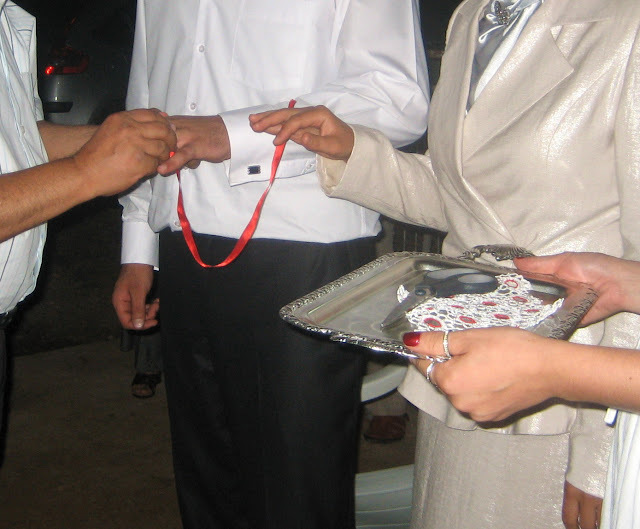 I am wondering if you think the red-ribbon ceremony might be incorporated into an American wedding between a Turkish groom and a Jewish bride? There was no ring exchange prior to the actual wedding, as that is when rings are exchanged in the U.S. There will be echoes of Jewish wedding tradition, too. 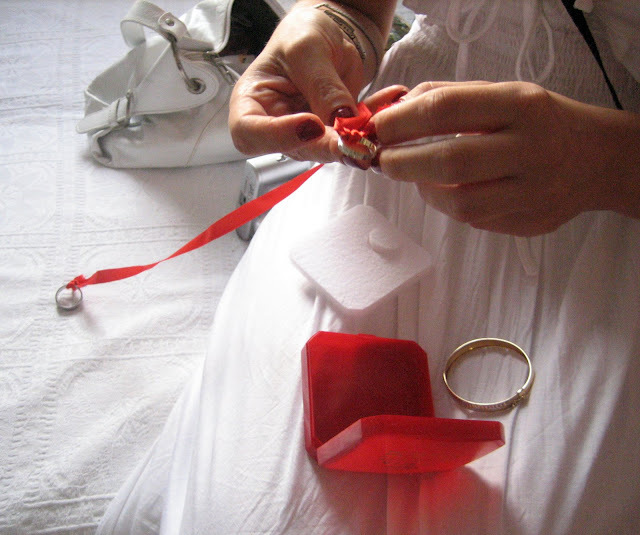 And thought it would be nice for the Ring Vows to include the red ribbon. Do you have any opinion on that? Thank you. In some ceremonies, the future bride cuts little pieces of the ribbon for unmarried women to swallow wishing them luck in love/marriage. Why they cut that ribbon???? 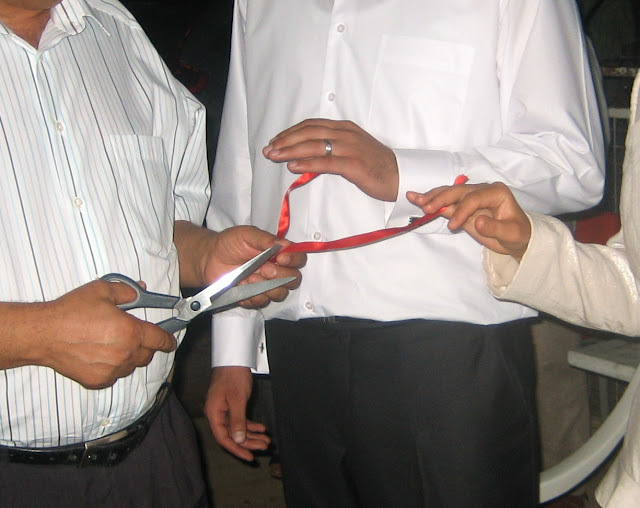 Why they cut that ribbon?